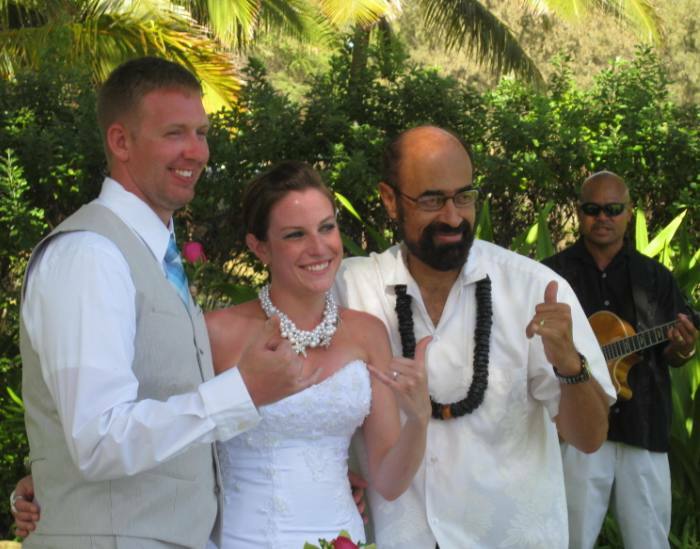 Adam and Nacole wanted a Destination Wedding in Hawaii. Nacole really wanted a sunset ceremony on a secluded beach followed by a luau reception with their close family and friends. 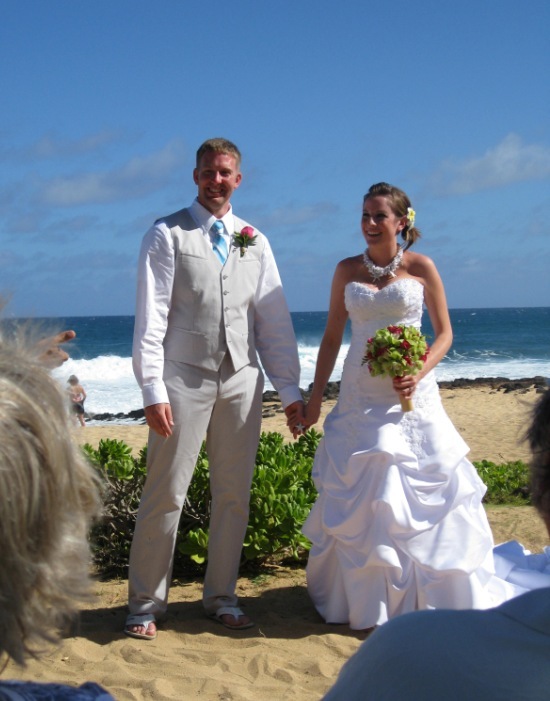 I suggested the Grand Hyatt Kauai, which has several ceremony locations to choose from including their exclusive beach, a gazebo with oceanviews, a garden with gorgeous flowers and views of saltwater lagoons, and a sheltered terrace surrounded by waterfalls and koi ponds. 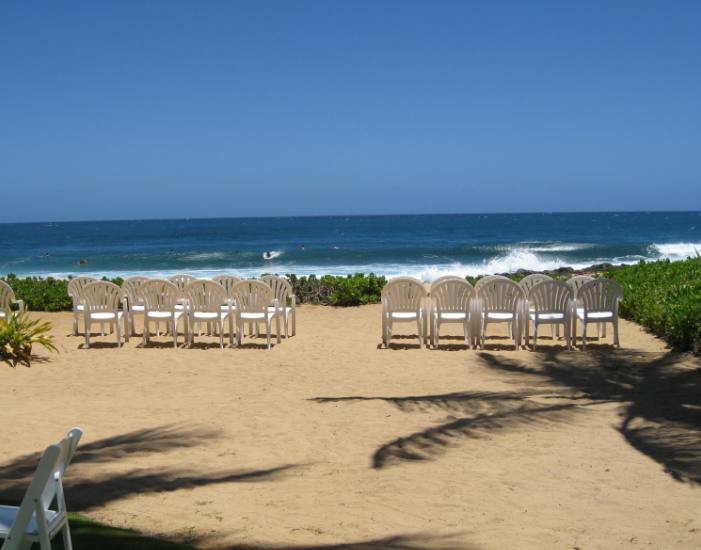 The Grand Hyatt Kauai has a public luau that accommodates small groups, seating them together with special amenities. Nacole and Adam were very happy with the resort’s wedding coordinator who handled all the details – arranging the marriage license appointment, choosing flowers, and providing last minute support. Reflections from Nacole: We loved everything!!! The resort was fabulous. The wedding was perfect. Ella had everything I planned….it was perfect. Adam and I were so relaxed and everything was taken care of . I wouldn’t change a thing!! !